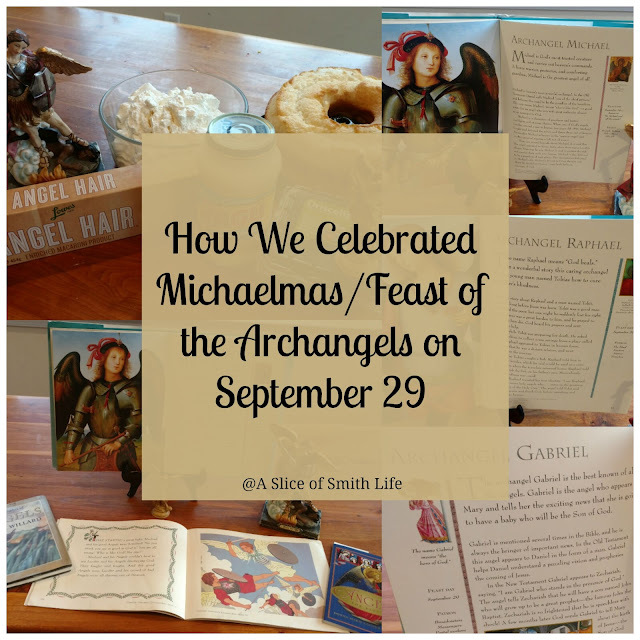 September 29 is the Feast of the Archangels, or Michaelmas. 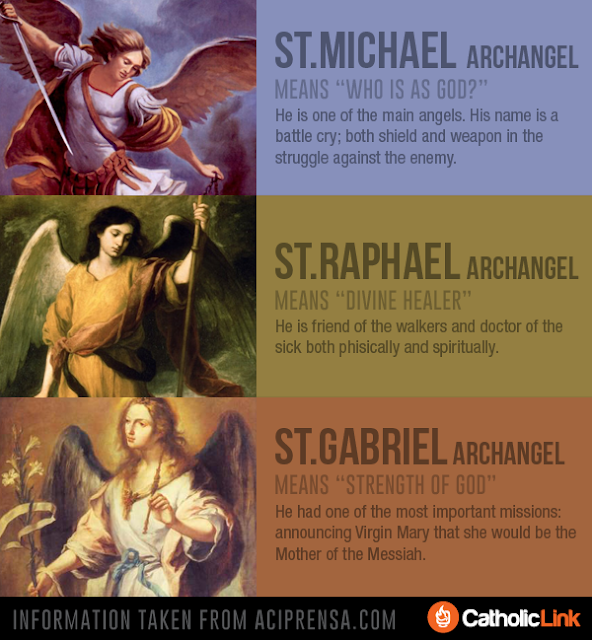 The Archangels are Saint Michael, Saint Gabriel and Saint Raphael. 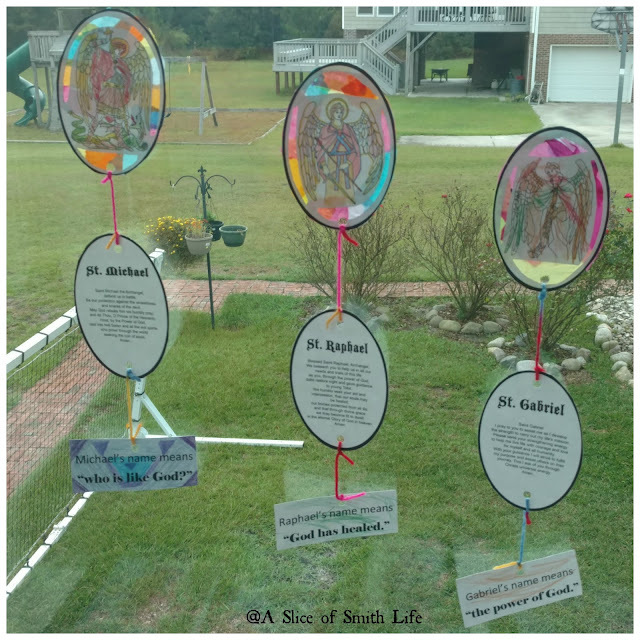 We started celebrating this special feast day last year and I'm still learning more about it! What is Michaelmas? 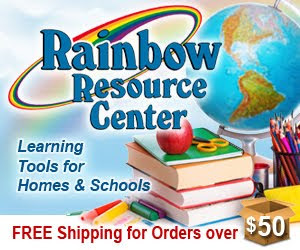 I'll let Haley at Carrots for Michaelmas answer that here. Like last year, we celebrated this feast with readings, food and a craft. In the morning I set up our kitchen table with books, statues and the symbolic food we were going to eat for the day. The book on the stand is Saints and Angels, then on the left is An Alphabet of Angels. 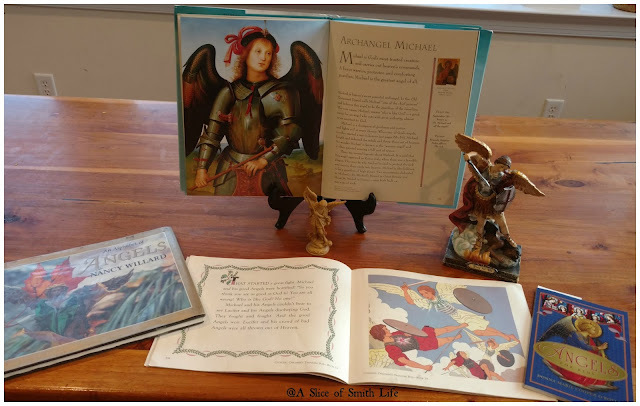 The book that is opened is Treasure Box book #18 and then on the far right is Angels for Kids that I recently won from Catholic Child on Catholic Child's Facebook page. 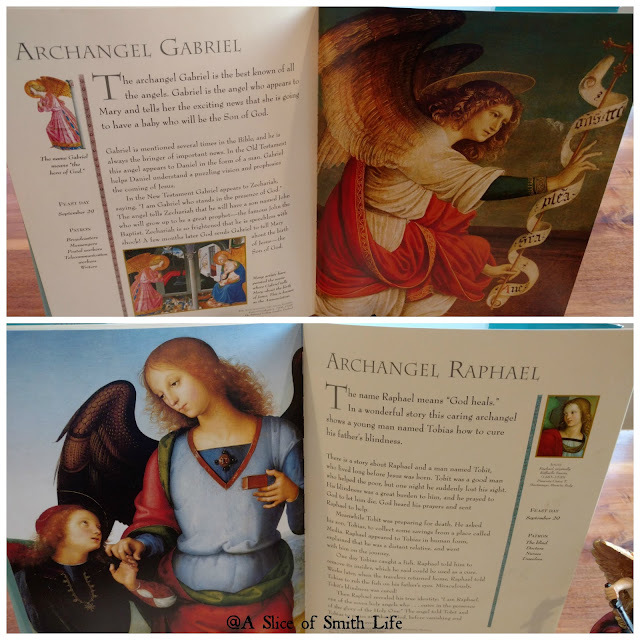 Angels for Kids has a chapter titled "The Archangels" which gives interesting information about each of the Archangels. 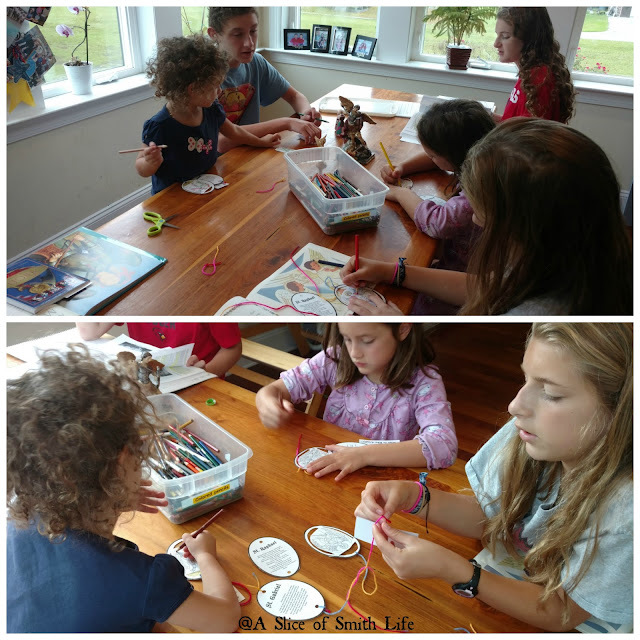 Right after breakfast we made an Archangel craft while I read from our book collection. 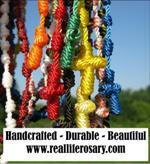 I printed off free Archangel printables at Catholic Sistas. 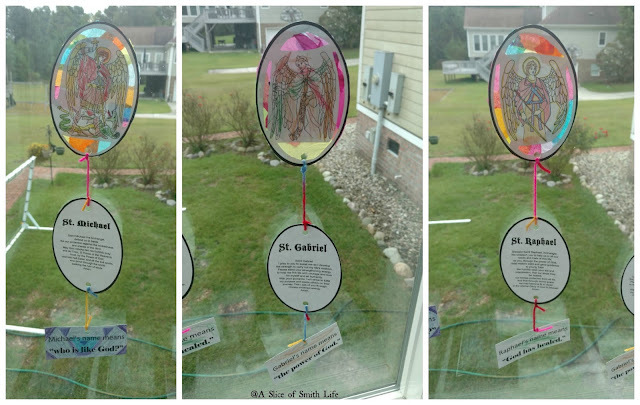 We turned the printables into "stained glass" projects using tissue paper scraps. We then tied the prayers to each Archangel and then I typed out what each name meant. 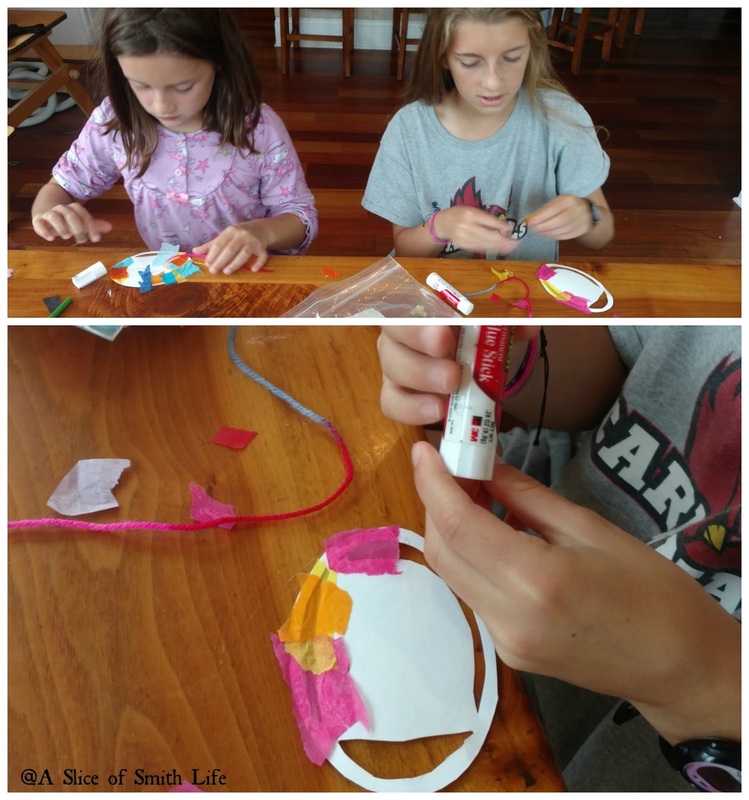 Here are photos from our project. 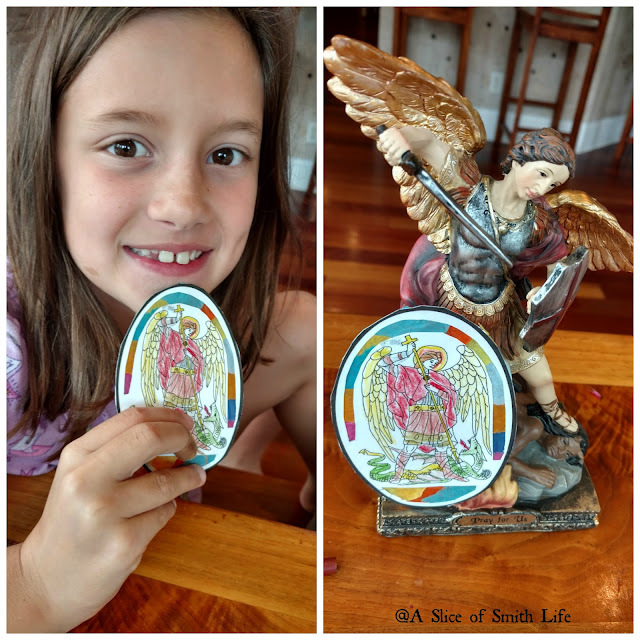 Since we had a busy evening with my son's homeschool soccer game and my daughter's gymnastics class, we had an "angelic" lunch, not dinner. On the menu we had angel hair pasta with alfredo sauce and angel food cake with "clouds" (homemade whipped cream) and blackberries. Blackberries are symbolic of Michaelmas as explained with this recipe for Michaelmas Blackberry Cobbler at Catholic Cuisine. 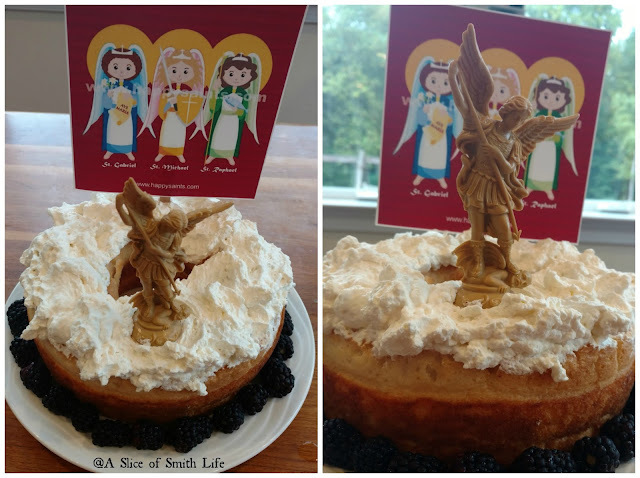 I printed the Archangel printable on our cake from Happy Saints and saved it from last year's celebration. 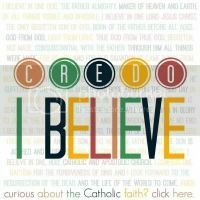 I found this graphic on Catholic Link's Facebook page which I think is beautiful! 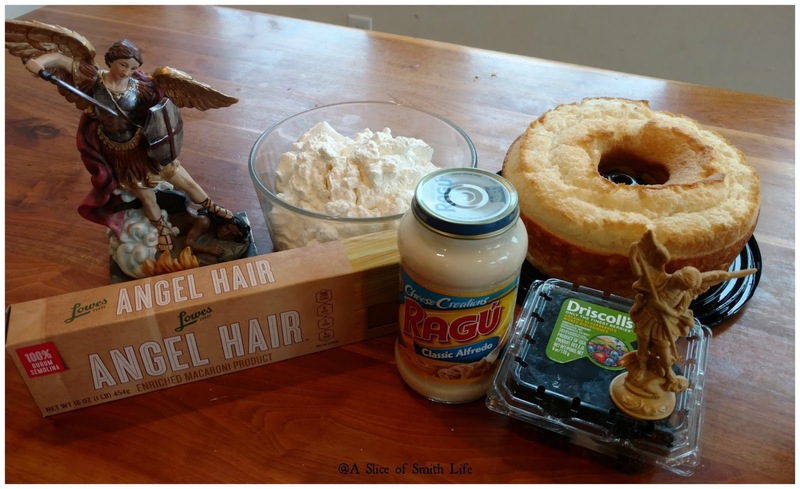 Peanut Butter and Grace's post titled 7 Ways to Celebrate the Feast of the Angels. Catholic Mommy Blogs posted other ways to incorporate the Feast of the Archangels into your meal. 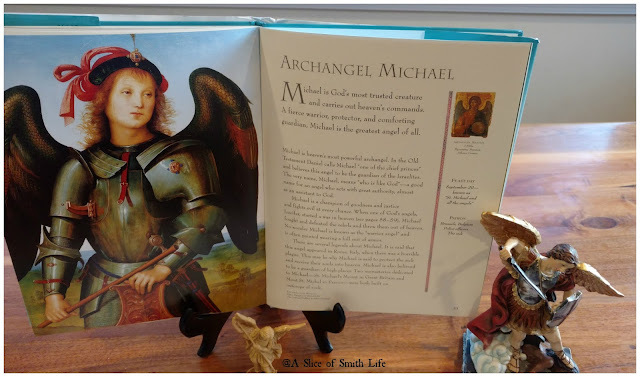 Catholic Icing posted Celebrate Michaelmas-St. Michael and all the Archangels! 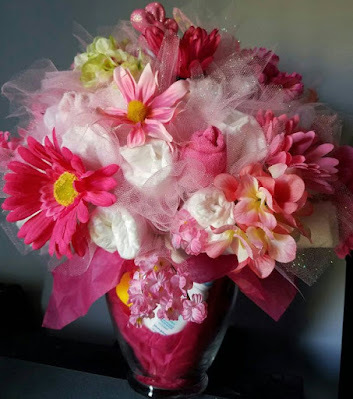 with a list of fun ideas. 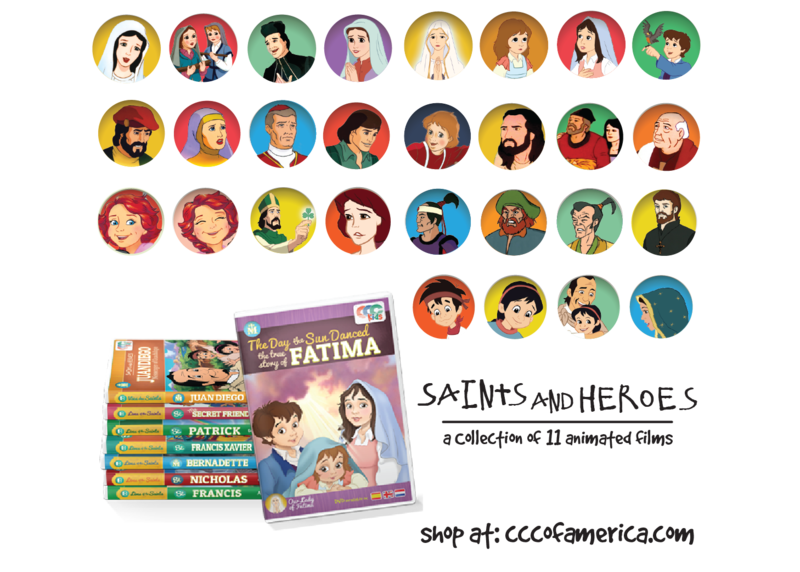 Saintly Seasons has 2016 Catholic Children's Calendar Coloring Book that includes a page of the Archangels. Life, Love & Sacred Heart has a free St. Michael the Archangel printable prayer card. 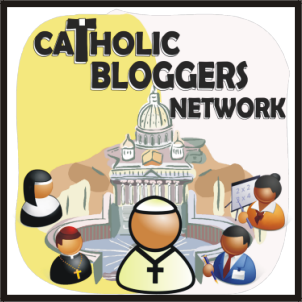 In October there are several feast days that can be celebrated. Here are some we have celebrated in the past.